Written by Amy Mills, Bethea Robertson, Cameron Hawkins and Emily Foltz. 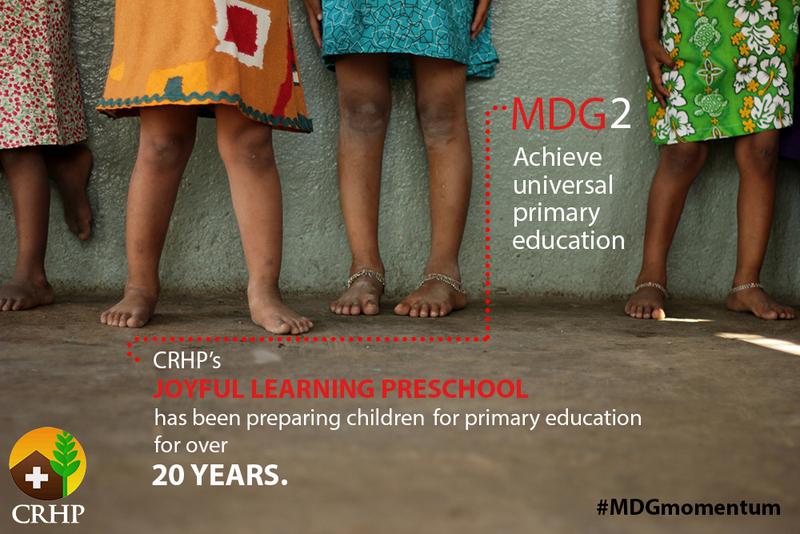 With just 500 days until the target date for the Millennium Development Goals (MDG), CRHP takes a look back at its impact on the MDGs so far. The link between increased income and improved health outcomes has driven the integration of income generation training into many of CRHP’s programs. For example, The Helping Hands Initiative was established in 2010 in response to community demand for employment and skills training for vulnerable women in the Jamkhed area. The Initiative trains and employs women to make craft items from locally available, recycled materials for a fair wage and also provides training to participants from the Adolescent Girls Program, enabling the girls to use their skills to begin making products for their personal use or sale. Other CRHP programs with similar income generation trainings include Women’s Self-Help Groups, Village Health Workers, and the Rajanikant Arole Demonstration Farm. A family’s ability to generate income directly impacts their food supply. 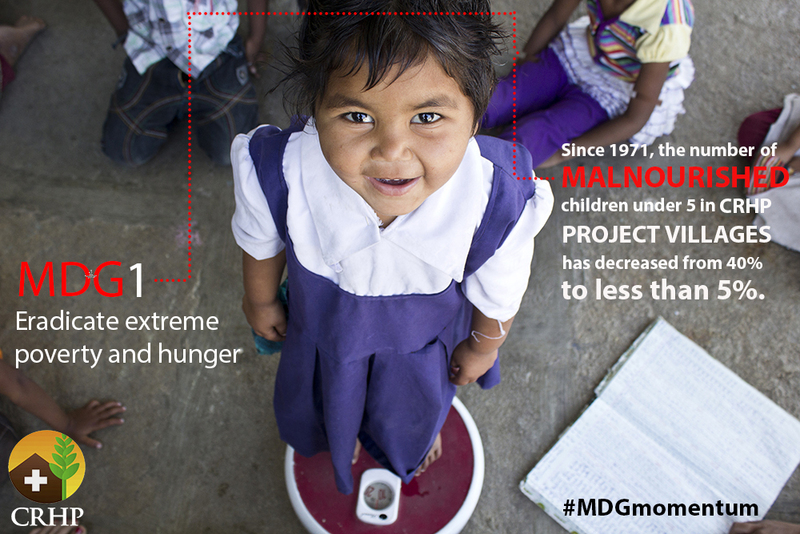 When CRHP began in 1970, the malnutrition rate for children under 5 in CRHP Project Villages was 40%. Today, it is less than 5%. CRHP began the Joyful Learning Preschool in 1993 to provide local children with the opportunity to receive an education. Approximately 60 children between 2-5 years from nearby slum, Indiranagar, attend the Joyful Learning Preschool six days a week for an academic and social head start. Joyful Learning Preschool students love going to school and are proven to perform above their classmates when they transition to primary school. Additionally, CRHP opened the Science Center in 2013, to give students in nearby schools an opportunity for hands-on science education. The Center runs summer courses and full day courses for students and their teachers that include simple experiments as well as follow up lessons throughout the year. The Science Center hopes to contribute to the goal of universal primary education through fostering a love for science and learning from a young age. 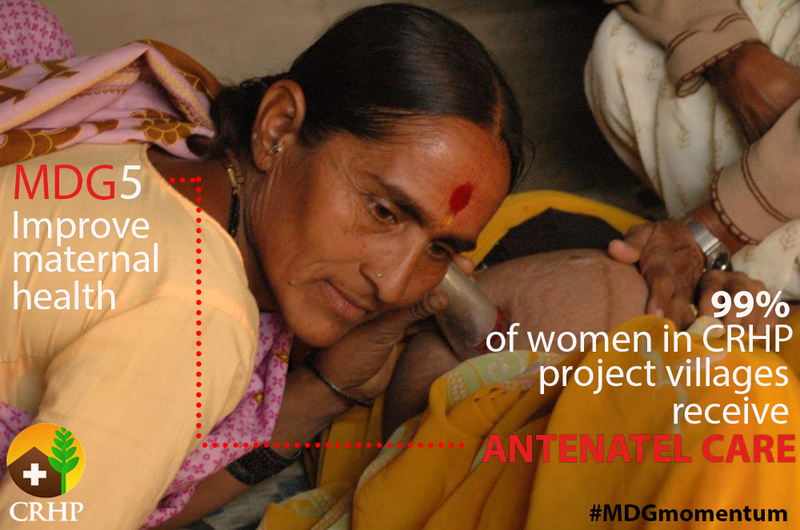 CRHP takes a holistic approach to promote gender equality and empower women, which begins at birth. At CRHP’s Julia Hospital, CRHP celebrates the births of girl children with the Girl Child Appreciation Program, giving a baby frock and a cloth for a sari top for families welcoming a baby girl. 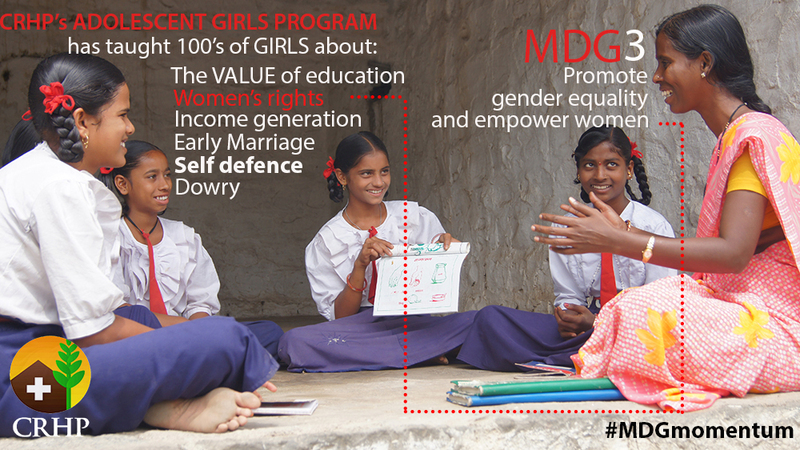 CRHP also facilitates an Adolescent Girls Program: a six-month program for unmarried adolescent girls aged 12-18, which focuses on gender equality, health, leadership, and social issues such as child marriage. The Adolescent Boys Program has a separate curriculum covering the same topics, which gives boys the knowledge and tools to become active in household chores and family care while encouraging them to support women and girls in their community. Additionally, CRHP supports community groups including Farmers’ Clubs and Women’s Self-Help Groups. Farmers’ Clubs educate men about the importance of women’s social, economic, and educational equality as well as support Women’s Self-Help Groups in an effort to address gender inequality. Women’s Self-Help Groups serve as a support system as well as a venue for health education and economic development through microfinance enterprises. CRHP hopes that this multi-dimensional approach will promote gender equality and empower women of all generations to create lasting change. 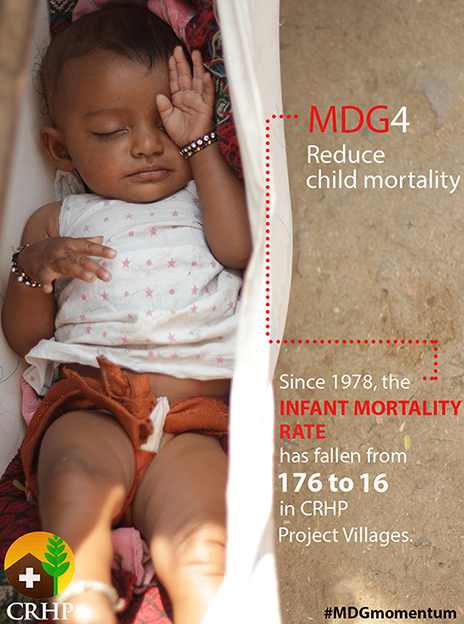 In 1970, the infant mortality rate (IMR) in CRHP Project Villages was unacceptably high at 176 deaths per 1000 live births and child vaccination rates were just 0.5%. As of 2014, the IMR has plummeted to 16 deaths per 1000 live births in CRHP Project Villages, compared to the Indian national average IMR of 47/1000 live births. In 2004, 99% of children in CRHP communities were fully immunized, while the 2011 Indian national average was just 72%. CRHP believes this dramatic improvement in health is achievable for all communities through empowerment, which enables people to take health into their own hands. Providing villagers with health information and the tools to combat their greatest survival and health challenges has empowered them, inspiring them to continue to pursue their personal rights to health. In 1970, when CRHP started, only 0.5% of deliveries were considered safe. By 1996, 98% of deliveries in CRHP’s Project Villages are safe. With early childhood marriages being common practice in India, 40% of girls in Maharashtra have children before the age of 18. CRHP’s Adolescent Girls Program empowers young girls to wait until they are 18 to get married and have children which dramatically decreases risk of complication and death during childbirth. Village Health Workers educate women within their villages on family planning and how to use contraceptives. By making this knowledge accessible, women are now engaging in safe practices and are more knowledgeable of their rights and their bodies. CRHP has provided medication for all illnesses on a sliding scale since its foundation in 1970. A tiered payment system is employed for medical services and medications dispensed: those who are able to pay full price help subsidize the cost for low-income patients who cannot afford full treatment. Since HIV/AIDS prevalence is so low in the Jamkhed area, CRHP provides transportation for HIV/AIDS patients to travel to government facilities where medication is free. CRHP does not stop at just enable access to disease medication. Although HIV/AIDS prevalence in the Jamkhed area is low, there is still significant stigma associated with HIV/AIDS and its survivors. Responding to the social need that accompanies this disease along with several others, CRHP created the Mabelle Arole Rehabilitation Center on its Demonstration Farm to house socially outcast women. Here, the residents support and teach each other how to cope with disease symptoms, both physical and social. In this way, individuals with HIV/AIDS learn more about their disease, and in turn, educate their home communities to facilitate their return to village life. 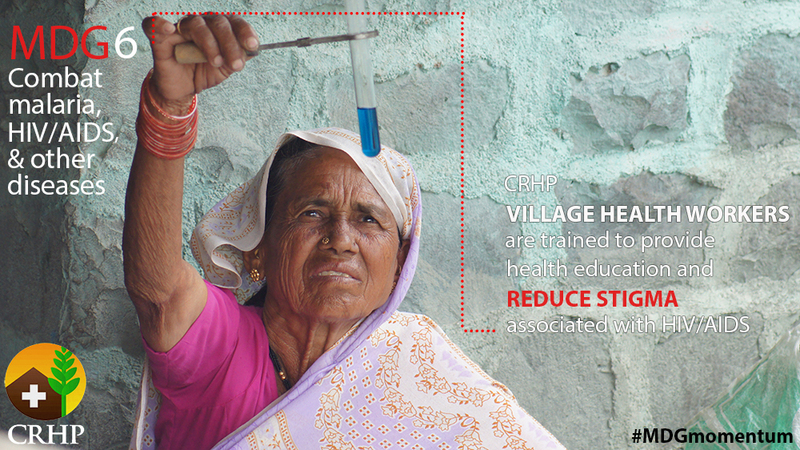 Since CRHP started training Village Health Workers, villagers have received health education covering all disease topics, which contributes to the remarkably low rate of infectious disease in this area. In addition to education, sanitation projects such as soak pits to prevent standing water have contributed to the low incidence of malaria and other infectious, water-borne diseases in the area. 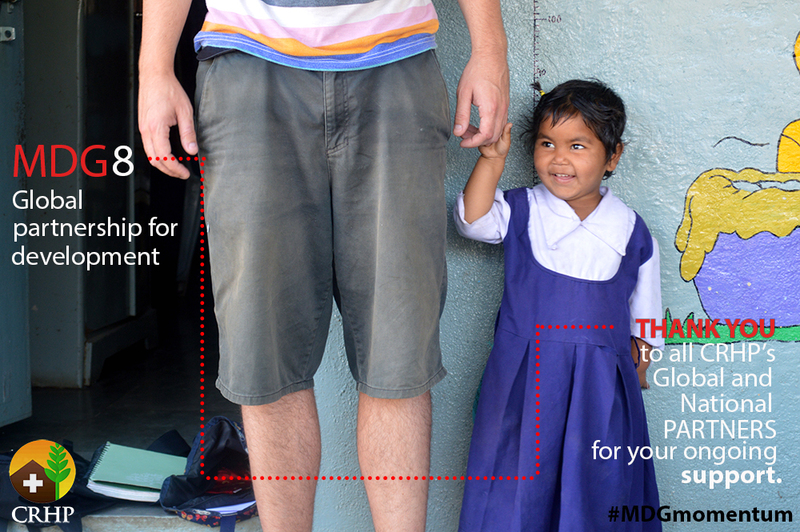 Similar education and development projects also contribute to the significantly reduced burden of TB and leprosy. By committing to solve the root cause of disease, which often lies in poor sanitation, lack of access, and little education, CRHP Project Villages have almost eliminated some of the world’s most common and dangerous infectious diseases. In 2012, 748 million people remained without access to safe drinking water, and 2.5 billion in developing countries lack access to adequate sanitation facilities. CRHP has built more than 200 tube wells within project villages for safe drinking. Communities are taught important health and sanitation practices through CRHP’s VHWs. 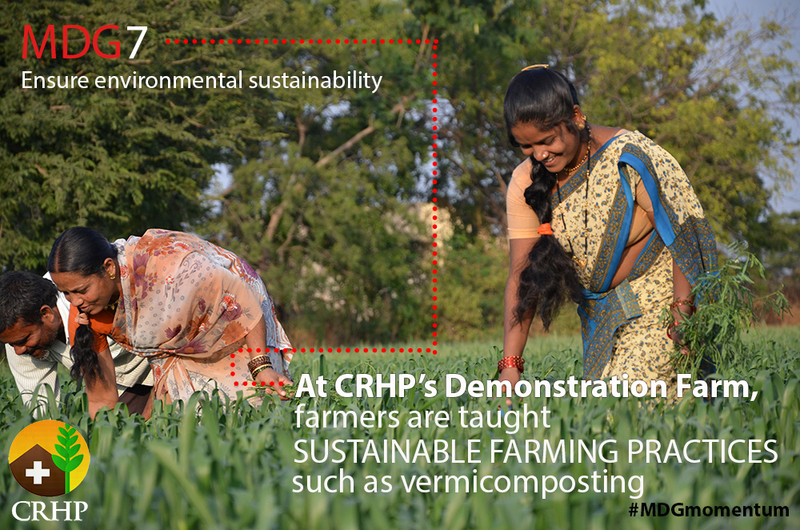 With drought looming over much of Maharashtra, CRHP’s Rajanikant Arole Demonstration Farm is working to provide training for farmers on sustainable farming practices. By practicing these farming methods, water usage is decreased and new types of income generating crops, such as citrus trees, are being introduced. Without Global and National partnership, CRHP’s impact would have never been realized. Since it’s establishment in 1994, The Jamkhed International Institute for Training and Research has enabled CRHP to demonstrate the effectiveness of CRHP’s approach to over 28,000 local and 2,700 International NGO representatives, government workers and healthcare professionals. As a result, the CRHP approach to health has now been implemented in countries around the world. CRHP would like to take this opportunity to sincerely thank all its Partners, who have influenced, guided and supported the CRHP vision for 44 years. For more information about CRHP, including training courses & volunteering opportunities, please email info@jamkhed.org.